Looking for the perfect place to hold your next function? 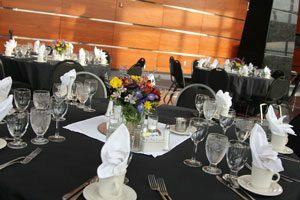 In addition to offering programming for the general public, the Clay Center can be rented for special events of all types…everything from corporate receptions, weddings, class reunions, and bar or bat mitzvahs to holiday parties, group meetings, community theater and educational lectures. The possibilities are virtually limitless. Look at our online brochure for photos and additional information about each space. Contact our rental and sales department at 304-561-3560 to schedule a tour today! Catering and beverages at the Clay Center are provided exclusively by Embassy Suites. Embassy offers menu items to meet every taste – from school children to corporate CEOs. For more information or to schedule an event, contact 304-561-3560 or kberger@theclaycenter.org. 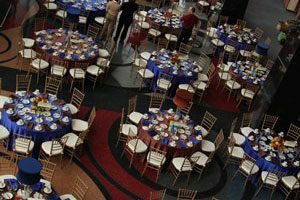 For those needing technical specifications to plan an event, please click here. 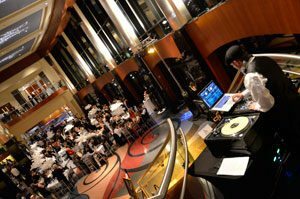 Please fill out our rental events interest form and someone will contact you shortly about your event.